Evolution has hardwired us to read but there is no genetic map for it. The “expert reading brain” comes into being through parents, teachers and self-study. Its thickly branched and interconnected cells are the result of deep, focused attention and concentration on the pages of a non-networked book or article. According to Nicholas Carr (The Shallows) and a chorus of neuroscientists, hyperlinked reading triages our attention inviting multi-tasking and the potential for a “techno-brain” less able to deal with complexity. Should we be worried? Yes, because the problems we face are “swampier”. 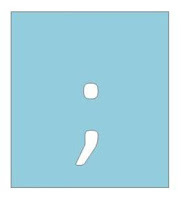 These “semi-colon” situations have no technical recipe upon which we can draw. We have to learn as we go and that requires a deep thinker type of brain and skill. Our workplaces past and present have never been very friendly to slow, concentrated thinking. Packed agendas and back-to back meetings in a hurry up, make-a-decision-fast atmosphere, most often create too much noise for creative thought. In the not-too-distant past, holidays, evenings and weekends offered some respite for re-charging and reflection. But, now the 24/7 social media tsunami is escalating the battle with our evolutionary need to concentrate to survive. Or is it? We are evolving as did our ancestors. How we do so might be more the point. Personally I am a Twitter and blog fan. I find those media stimulating and information-rich. I am learning more because of my interconnections with others. These links are not distracting. They instead spark all kinds of ideas which I record. They lead to research pathways I might never have discovered. Put simply – I have added to not subtracted from my thinking brain. 4. Although I have a Kobo, I plan to mix reading “regular” with e-books. Apparently the hands-on nature of a “real” book, like handwriting, is a more efficient and possibly meaningful route to our brains. Nicholas Christakis, professor of medicine and sociology at Harvard University, claims that we are in the very early stages of the new biosocial science. It is helping us to understand why we behave for better or worse. Wisdom can be learned by reflection, the noblest; imitation, the easiest and experience, the bitterest. Posted by Dr. Linda E. Pickard at 7:56 p.m.